When is the Best Time to Install a Fireplace? When is the best time to install a fireplace? While it’s very common for people to install a fireplace in November, right before Thanksgiving, it can be a bit of a stressful project when you wait until late in the year. Typically “off seasons” are the best time to install seasonal units. 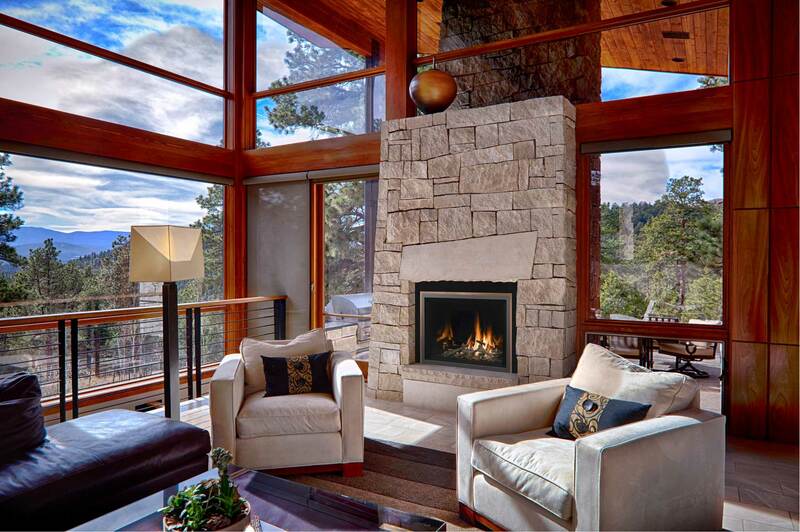 Install your fireplace in the summer, your air conditioning in the winter. This way you avoid down-to-the-wire rushing for deadlines, which helps to reduce stress. There are more reasons to have your fireplace, stove, log set or other hearth appliance installed in the summer, though. As winter approaches, most trusted hearth stores are booked through the fall season. Last year by September we were already beginning to book through December. When you begin your project early in the year, you have plenty of time to have a technician evaluate your project in your home, review all available models, decide on what combinations of options you want, schedule the install on a day that works for you, and finalize the whole process so it’s ready for the days you need it. New models usually get released at the start of the year, when you start your project early you end up ahead of others. This is especially important for our Professional Interior Design customers, but also plays a big part in home pride for owners who like to be trend setters in their neighborhood. Typically there are sales and promotions available from most companies in the off season, this includes any factory rebates manufacturers may offer. Sometimes you just need the fireplace when you need it, and there’s nothing that can be done about it. If you can plan ahead you’ll save time, aggravation, and money. Manufacturers typically issue their price-increases in April. Scheduling and securing your unit earlier in the year ensures you get the best price without sacrificing quality. Sometimes it can be difficult to visualize your project until everything is finished. In the case of a gas fireplace, home owners typically install granite/marble/tile/stone around the fireplace, install a mantel and then paint the wall around it to compliment the finished project. If you have it installed earlier in the year, have the finishing work completed and you realize that you want a different color of paint for the surrounding wall, you can change or tweak any aspect of the final design without needing to rush. This way when the holidays hit and guests are in your home, you can rest easy. Feeling confident you have the best final design possible for your home means you can focus on your guests and eliminate any back-of-your-mind worries about the finished piece. So, when is the best time to install a fireplace? As early in the year as you can manage. If you have any questions about installing a gas or wood fireplace, gas or wood stove, gas log set in your existing fireplace, fireplace doors and more, feel free to contact us. We can answer your questions via email, or come into our show room and see working units you can turn on and get to know.